Discussion in 'Florida Fish Identification, Rules and regulations' started by Nautical Gator, Jul 17, 2016. Good info Sam, keep us informed about the cretin who was poking on you, somebody like that is one step away from meeting a Smith & Wesson if he poked the wrong guy. Thanks for making the effort to educate us. You showed good restraint and good common sense in your confrontation. Here in Ct. there is a difference in this issue in that the state owns all water that is inland freshwater, tidal, and salt water out to three miles or to a defining border with another state like in Long Island Sound with NY. So if you can gain legal access to the water you have a legal right to be on it no matter who owns the bottom as long as you don't get out of your boat and wade, tie up to a private dock or drop an anchor on to the bottom, in those situations where the bottom is privately owned. Those would be trespassing situations. That appears to be different than in Florida where it appears that the state is ceding the ownership to the water if it is above land that is privately titled. I think that is something that needs to be challenged in Florida. I don't think that the Florida Legislature really wants to cede ownership of the water to those who own the land underneath the surface. This is similar to air space issues. Do these land owners own the air space? No, you can fly over it and even fly your drone over their land legally. So why not use the water. Most states claim ownership to all water in situations as described by Ct. statute. For example, a classic conflict is the St. Johns River. I would bet everything that there are sections of the river where large land owners have deeds to the bottom of the river. Does the state allow those land owners to stop navigable transit on the St. Johns River by invoking trespass law? No way a land owner gets away with this, the St. Johns River system is too valuable a resource to allow that to happen. This is a very important issue for many reasons. Water is a public commodity and, as such, has Constitutional protection as simple as the 1st Amendment in the Bill of Rights to the right of assembly. You can not inhibit the rights of the people to assemble in a public place and the surface of all water is a public place regardless of who owns the bottom of the water source, similar to air space. My bet is that Florida's interpretation would not stand up if challenged in Federal Court. JMHO of course. Finally read this....great detailed info. Thanks. In lower Alabama I fished a number of lighted docks with great success. I took a (former) buddy fishing one night and he stupidly published a list of the docks we fished on a blog like this one. The resulting action...VERY irritated dock owners a LOT of them turned their lights off and left all of us in the dark. MORAL....fish the docks but keep your mouth shut about your favorite locations. bad advise, continue to fish the way you always do and post you reports, our forum is secure and not open to the public. I have done some research on Florida law, history, Florida Supreme Court decisions, transfer of lands by the Federal Government to the State of Florida after the purchase of Florida from Spain by the Federal Government, among other items found through Google searches. 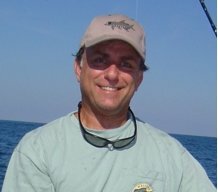 I think the articles linked in the beginning of the thread have some major errors due to the fact that even though the issue of ownership and access seems pretty straight forward over the years since the founding of Florida there have been many court cases on who owns what and other issues affecting access to the waters of Florida. Below is a link to an article that is not long and easy to read that covers this history. It now becomes more obvious to me that the laws of Florida are no different than those of Ct. or most states regarding who owns the water, Riparian Rights, navigable waters, legal access, mean high tide marks, freshwater mean annual water lines, etc. What clouds the issues are the numerous law suits that have been fought over this as little as in the past 20 or 30 years but all have been decided in favor of the State owning the water, that most if not all water in Florida was navigable and used for navigation at some point in the history of the state and that The People have the right to assemble and use this water resource as long as they have legal access to cross lands bordering the water and access the water. Navigable is not just commercial activities but the use of any instrument of navigation such as a canoe, kayak, etc. There are even more complicated easement laws that provide access through Prescriptive Easement that provides access over private lands if those lands provided traditional access for a sustained period of time lasting for at least 15 years. So if you can paddle a canoe or kayak into the cove, canal, river, stream, pond, etc. from a legal access or from another water source from which you legally launched then regardless of who owns the bottom land or sides of the water body, it is the state that owns the water and you are legal. Another easy to read legal brief on the topic. I mentioned Prescriptive Easement above. This is adverse possession where a trespasser can actually take legal ownership of land by illegally using it without the owner taking any action against such an activity for a lengthy period of time which varies from state to state but in Ct. it is 15 years of continuous unobstructed use. Access to much of Florida's interior water sheds involved crossing private lands for decades if not centuries. This qualifies as a Prescriptive Easement. Surf Fishermen in NJ used this legal doctrive to get access to private ocean beaches in exclusive towns along the Jersey shoreline and then declared access to the beaches through the Public Trust Doctrine and its Riparian Rights. The Constitution's 1st Amendment allowing for the Rights of the People to Assemble then sealed the deal. I used Prescriptive Easement in Ct. to challenge the City of Danbury which unilaterally declared a public "lake" known as Lake Kenosia, which was nothing but an ox-bow in the Still River, a water reservoir for city use. Under Ct. law, water reservoirs are controlled by the State Dept. of Health and they usually ban boats, fishing, swimming and other water use activities from that body of water. Lake Kenosia had a state boat ramp on it and was a bass management lake and stocked yearly with channel catfish. Further, there were private residences and condos on the lake. This provided the Prescriptive Easement claims plus in Ct. natural water bodies have no public deeds issued for the submerged bottom lands so the City had no grounds for any kind of adverse possession or eminent domain action. My public briefing sheet, which was endorsed by the thousands of members of CtFisherman.com was published and went unchallenged by the City or the State and had no comment from the State's Attorney General. Lake Kenosia remains a public access water body and all traditional activities continue, thanks to thousands of sportsmen and women. So sportsmen have clout if they have the will and knowledge of how to use it. Here is a link to Prescriptive Easement. Thanks Sam for all the hard work and effort it took to keep us informed. This is much appreciated!! Sam ,hit the nail on the head. KEEP FISHING !!!!!!!!!!!!! And post those reports! Several years ago there was a thread on the FL Sportsman forum about fishing in the Eau Gallie yacht basin. It ended up in court but I left the forum before the final outcome. Good information here, good read. Now i know what to do and whats correct. Thank you for post. I have read this a few times over throughout the years. Great information.